Fabulous fifty years celebrates soul pair love, happiness, health and – finally arriving home – for Nadine Love. Nadine’s a joy-filled, visionary, soundly and securely set to inspire and instruct you on how to live your best life, if that’s what you want. 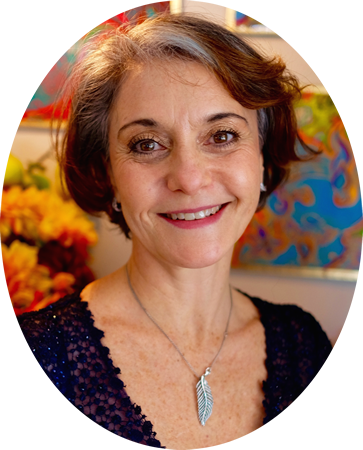 Nadine’s heart-powered energy, coaching expertise and wide-reaching wisdom are perfectly placed to guide you to achieving your greatest potential, personally and professionally. You might like to lean into her guidance to take your creative enterprise to the next level or to write, promote and publish Your book! Top-placement in the International Transformational Authors Writing Contest, 2011, for the manuscript of her prize-winning book, Hot Confidence motivated Nadine to assist other professionals to take their autobiographical stories and business frameworks from concepts to cohesive chapters. Aspiring authors attending Nadine Love’s popular Writing Intensives and Write Your Book Retreats, receive resources, creative inspiration and Practical instruction on how to successfully turn their ideas into impactful books that can transform their readers’ lives for good. With thirty years’ experience in the international wellness industry, Nadine is acclaimed for facilitating deep, rapid, and lasting change with groups and individuals. She attributes the consistently stellar successes enjoyed by her clients to the dual path of her practice, which focuses first on the quest for self-love, confidence and clarity and second, to write promote and publish your all inspiring life story or develop expert-based, branded business so that you become prosperous from your passions. This means her clients achieve what they want in their lives: crafting their best work, uncovering and communicating what it is they are here to contribute and completing their books! As a celebrated international speaker, award-winning transformational trainer, and motivational mentor, her career has spanned four continents and two million-dollar businesses. Her qualifications include a Masters Degree in Dramatherapy and diplomas in Personal and Executive Coaching, She was granted facilitator of the Year, 2010 by the Coaching Institute, Melbourne, Australia. Nadine is a sought after Neuro Linguistic Programming Trainer, and is currently researching for her Phd. Her specialty program, Your Unique System, delivers transformational personal and business mentoring focused on identifying the unique talents and purpose of the individual and creating sustainable businesses from aligned, authentic passions. Nadine lives the dream with her true-love husband Dr John Cronin; magical, beautiful, gifted daughter, Mira Moonbeam; five horses and their beloved Kelpie, Missy, on their peaceful thirty-acre patch of paradise in rural Queensland, Australia. You can join Nadine in her favourite place in the world, Noosa, Sunshine Coast, Queensland for your luxurious one-on-one Master Class experience so that you can experience Futures Coaching, Neuro Linguistic Programming or Writing Your Book under the tender tutelage of one of the world’s best transformational mentors. To find out about Nadine Love’s most recent publishing project – on her own book label, Helix Books, go to https://www.luminariesontheloose.com. My commitment to every breath, every heart book, every moment: To love and to inspire love. The rest is taking care of itself.~ Nadine Love, Luminaries on the Loose, 2015.